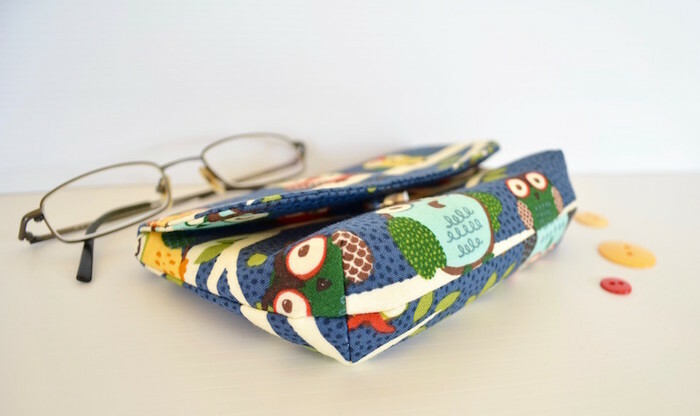 This little owl glasses case is made especially for the kids. 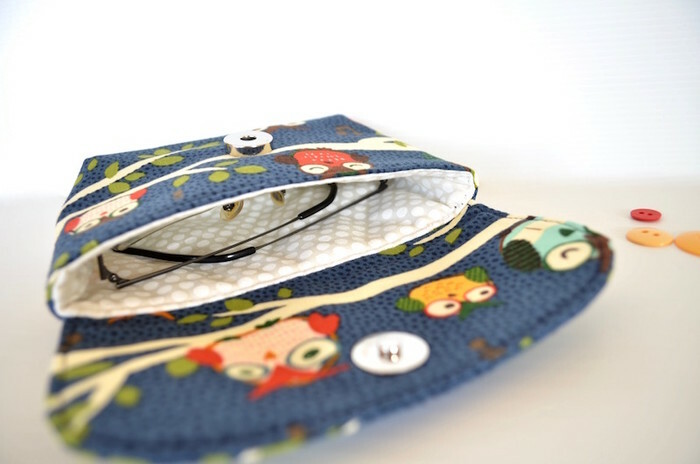 Just the right size for children's glasses, padded and delightfully colourful. 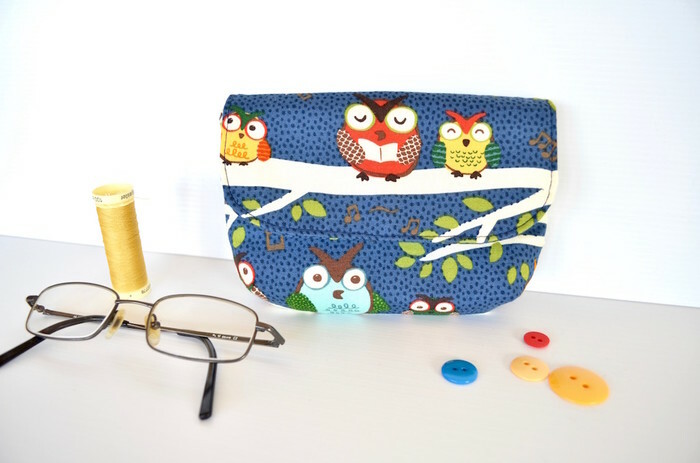 I've used cotton fabrics inside and out. 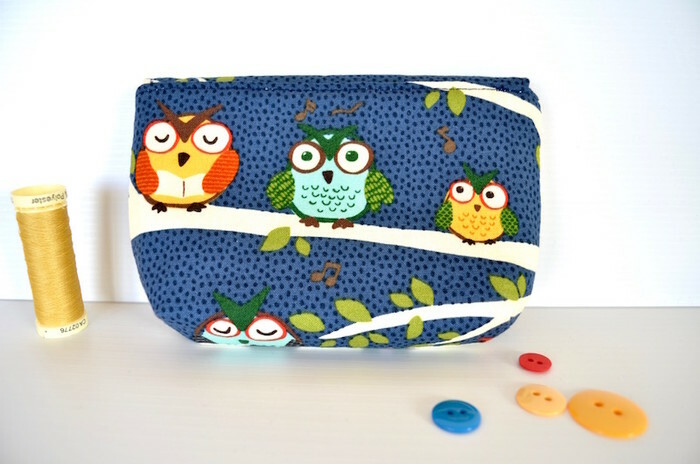 Lined with fusible padding and heavy weight interfacing for added strength. Easy to open and close with a magnetic closure. All fabrics are new and pre washed to avoid dye run and shrinkage. Wash in the machine on gentle cycle or by hand. 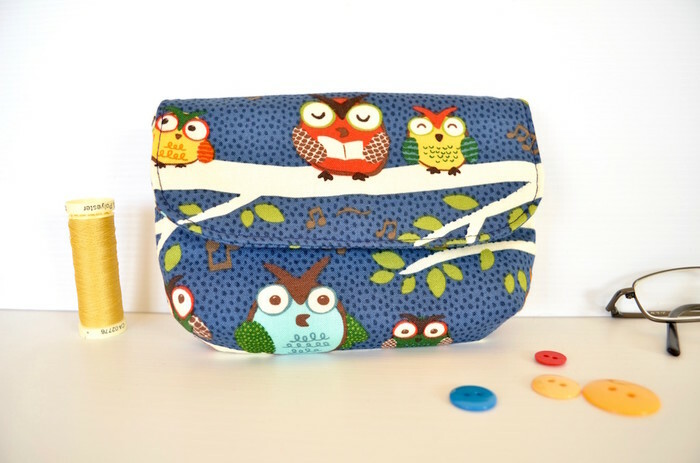 Please note the size as this pouch is a bit tight for adult glasses. 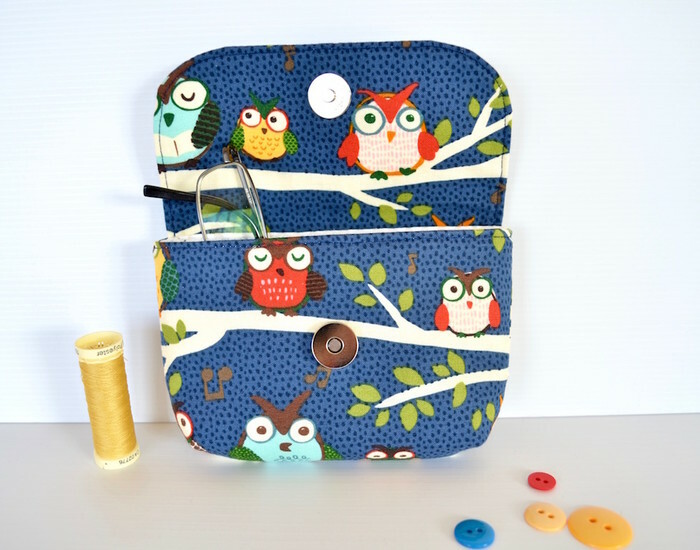 If you really love it you could use it for make up, sewing kit, medications, feminine hygiene products, camera or small mobile phone.